A conscientious approach means looking at flavor-forward dishes in a holistic way. Modern Market’s “Homestyle Plates” invite diners to pick their protein and two signature sides. Understanding and reacting to modern values around dining habits is crucial in protecting and building business. Early seeds sparked farm-to-table, seasonality, artisanship—all cues that signify a level of care and culinary craft. But consumer expectation focused on independents in those early days. Embracing these values in other segments has been slower and more sporadic, and sometimes a little clunky. Enter innovating fast-casual concepts. They’ve changed the game on so many levels. A large number of them were born with mindfulness coded into their DNA. Their mission statements come to life in every last detail—from menu items to plateware to lighting. The imperative, now, is to adopt mindfulness. With fast casuals feeding diners with routine frequency—weekday lunches in particular—the expectation has changed. The demand for the values they see reflected in that space will only grow. They’ll look for those values in other segments. Just as forward-thinking universities are shaping palates and preferences among future diners, modern fast casuals are doing the same—only the impact is more immediate because it’s with current foodservice customers. What are diners looking for? The new mindful mission is an umbrella trend that includes a number of modern values: sustainability, clean labels, transparency and authenticity. Underpinning all of this is the flavor imperative. 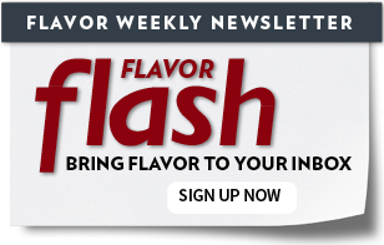 This modern mindfulness puts flavor development at the epicenter of the value system. It’s not about wholesomeness or better-for-you. It’s about feel-good food with flavor. Roasted carrots are now cumin-and-coriander-roasted heirloom carrots, found at Tava Kitchen, a fast casual that serves up Indian-inspired food pulling from South Asian culinary tradition and Californian culinary heritage. 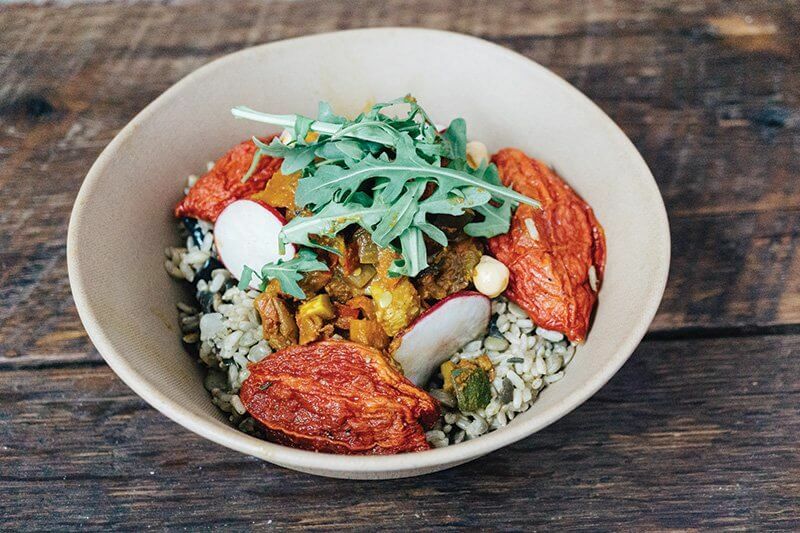 At plant-based fast casual Shouk, in Washington, D.C., the Ratatouille Rice & Lentil Bowl is topped with roasted tomato “bursts,” radish, chickpeas, arugula and creamy sesame-seed sauce. At Lemonade—a West Coast cafeteria-style concept—grilled chicken breast cedes to braised vindaloo chicken thighs with tomato, onion and fenugreek. At Boston-based B.Good, a burger upgrades to an all-natural, house-ground burger, maybe topped with bacon, jalapeño slaw and jalapeño ranch. And at Modern Market, a Denver, Colo.-based fast casual, a breakfast sandwich touts cage-free eggs, nitrate- and hormone-free bacon and provolone on ciabatta. Today’s mindfulness is a flavor story with a meaningful narrative. “It’s the ultimate story that can be told to a consumer to build trust, create a personal and emotional connection, and create a compelling competitive positioning built around flavor,” says Webster. Tava Kitchen’s Chicken Tikka features all-natural, hormone-free chicken, in keeping with Tava’s philosophy of a mindful menu. Although mindfulness isn’t an ingredient trend or a global cuisine trend, it’s still rooted in flavor. The backbone, the character and the plot around the new mindfulness all carry a flavor imperative. There’s a strategic thoughtfulness at play here, building complex, lingering, sometimes surprising flavor. But it’s not a free fall either. As with most sustaining trends, menu development must tether back to familiarity. The concept offers made-to-order wraps, rice and salad bowls. Its Chicken Tikka is its most popular menu item, starring all-natural, hormone-free chicken roasted and served in a light tomato cream sauce. “We close the deal by giving out samples,” says Zaidi. The mindful approach means paying close attention to the entire experience, from the sourcing to the layering of complex flavors. Modern Market’s Weir stresses the importance of transparency. “We have cues throughout the restaurant that relay our values. We’re not too overt about it though. I was once told that the average person has room for only three things to care about. We’re about transparency, so we’re strategic in what we display on our shelves.” Current items include cans of organic tomatoes and jars of preservative-free pickles. “We call out a few things on our menu, like our tomato sauce, so our guests know that we get the message about organic. We communicate the ‘never-ever’ statement for our steak. We’re trying to build our trust factor, so those visual cues help us share that we’re paying attention to important values,” he says. The modern back story, then, is driven by transparency. It’s about clean labels, suppliers, community. It’s about telling a compelling story that resonates with today’s diners. The reach will extend into all foodservice channels and all menu sections, from starters to desserts. Consumer expectations continue to shift, thanks to the advances in the fast-casual segment. Mindfulness around messaging, thoughtfulness of intent, careful attention to details around sourcing and flavor-building—this is what will impact foodservice for years to come.